Most people in our country become fascinated by stories reported by favorite newscasters Walter Cronkite and Ed Murrow being two prime examples that had wide audiences who accepted their comments and reported their news and views as gospel. Chicago, on the other hand, began a love affair with a street reporter named Studs Terkel (1912-2008), whose 45-year career of recording interviews with a … wide spectrum of street people and common folk who were asked for their views on what they liked, hated, living circumstances, and an abundance of topics that they tolerated but despised, racial views being a prime topic of comments. The people Terkel sought out were the homeless, streetwalkers, prostitutes, cops, firemen, celebrities, doctors, teachers, businessmen, and a full spectrum of people in the building trades. Usually those he chose to interview were more than pleased to be asked for their comments, and would pour out stories that made Terkels hour-long radio broadcasts on Chicagos WFMTs a fascinating listening experience. As if the person being interviewed hadnt bared enough of his/her soul to the reporter, Terkel would wait until their story was finished before then asking them and then what happened? The shock of this quest invariably resulted with additional startling stories coming out of the mouths of the victims Studs had chosen to interview. In fact, these comments asked the people he interviewed after the first part of the story they rendered revealed secrets and things that the person had never mentioned to anybody. They were like icing added to a cake, and turned out to be the fascination that brought the reporter abundant listeners, as well as rendering Studs Terkel just about every book award and citation ever given to a single person in the United States. Studs Terkel interviews gained him the top echelon of reporters during the 45 years that his radio and then television shows were in demand by Chigagoans from 1952-1997. 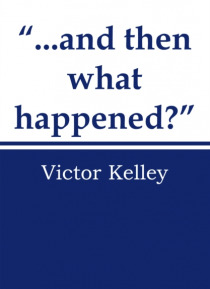 His variety of stories was the catalyst that prompted Victor Kelley to publish his own version of events that fascinated readers of his eight books.